If you thought Apple’s iPad trademark case in China couldn’t get any weirder, today the story has taken another surprising turn after debt-ridden Taiwanese technology company (and Chinese iPad trademark holder) Proview was told by its creditors that they hold the rights the company’s trademarks. Before Proview filed for bankruptcy protection in 2009, the formerly successful computer display vendor was said to have owed more than $400 million to the banks. Earlier this week, the Chinese banks appealed to the courts for Proview to be put into liquidation, potentionally freezing its case with Apple in accordance with Chinese law. One of its creditors, Fubon Insurance, made the move, seeking to reclaim debts totalling $8.68 million as of November 2010. Fubon had applied for Proview’s remaining assets to be liquidated in June 2011 after the company has failed to comply with the ruling for six months, so with the deadline on the decision already passed, Fubon’s laywers applied to the court for an expedited ruling on February 20. 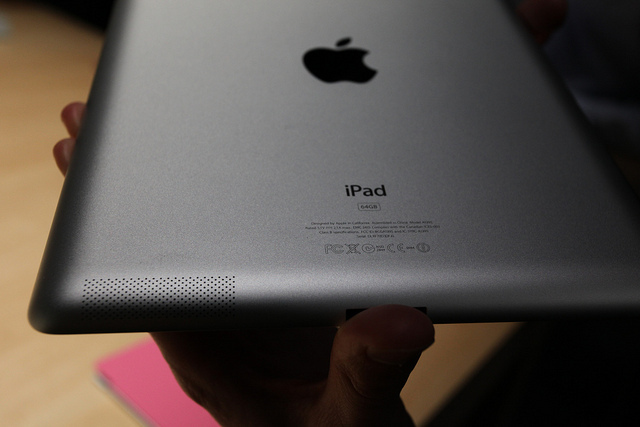 The banks said in a statement issued Wednesday that they had seized Proview’s assets, including its iPad trademark registration, nine months before Apple bought the iPad trademarks from one of Proview’s subsidiaries, which included registrations in China. Proview’s Chinese office has said that its sister company didn’t have the rights to sell the trademarks on its behalf, further complicating matters, especially now that the banks have involved themselves in the legal fight with Apple. It also calls into question whether the other iPad registrations are indeed Apple’s, if they do turn out to have been held by the banks. Whether this could increase the changes of an early settlement remains to be seen, it could be in the interests of all three sides to hasten a decision either way.